AT THE invitation of President Recep Tayyip Erdogan, Greek Prime Minister Alexis Tsipras will pay Turkey a visit on Tuesday and Wednesday. The visit was confirmed by Greek government spokesperson, Dimitris Tzanakoupoulos during a press conference on Thursday. Tzanakoupoulos told members of the Fourth Estate Tsipras was invited by Erdogan when the two attended a UN summit in New York last September. Tsipras’ visit comes in the wake of the 23rd anniversary of the Imia crisis in the eastern Aegean, which almost caused a war between Greece and Turkey. Talks are expected to focus on bilateral issues and the currently stalled Cyprus peace talks. The current dispute over Cyprus between the two countries began in 1974 when Turkey annexed Northern Cyprus following a military operation, a move termed as an invasion by Athens. After decades of negotiating, there is still no amicable agreement. There are now two approaches to the negotiation table: The reunification of Cyprus into a single state or a two-state solution, which could legalise the current status quo. Greek Cypriots govern the southern and the Turkish Cypriots govern the northern part of the island. The Fifth Summit of the Southern European Union Countries (Med7) including Greece, France, Spain, İtaly, Malta, Portugal, and the Greek Cypriot brought the Cyprus talks to the table on January 29 in Greek Cyprus. During a summit in Nicosia on Tuesday, Tsipras said relations between Greece and Turkey must be based on respect for international law. A joint declaration adopted at the summit by Med7 countries expressed full support to the Greek-Cypriot regarding its sovereign rights for gas exploration in the Mediterranean and called on Turkey to respect it by refraining from threats or actions contrary to international law. Med7 countries also raised their concerns regarding Ankara’s pending obligations as a European Union-candidate while supporting open dialogue and cooperation with Turkey in areas of joint interest such as migration, counter-terrorism, transport and trade. The Turkish Foreign Ministry slammed the joint declaration and said in a statement on Thursday: “The move provides yet another example of the unfair and unconstructive attitude maintained by certain EU members, in the name of the so-called ‘union solidarity. “Turkey remains committed to taking the necessary steps to protect the legitimate rights and interests of the Turkish Cypriots,” said the statement. The Ministry accused the Greek Cypriot administration of abusing its EU membership, referring “the commendation in the declaration” on its efforts regarding the settlement process in the island and “unilateral hydrocarbon activities” in the Eastern Mediterranean. Erdogan and Tsipras, who will meet in Ankara in the wake of this dispute, are expected to hold a joint press conference after their meeting. 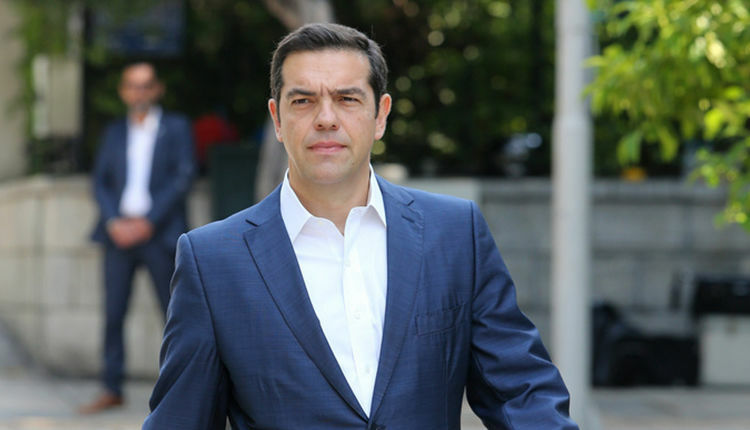 Tsipras is also scheduled to visit Fener Greek Orthodox Patriarch Bartholomew in Istanbul on Wednesday, according to Greek officials.